I’ve been blogging and writing about beauty for a while now so it was an unexpected pleasure to experience two recent beauty firsts – my first experience with Juliette Armand, and first visit to Buff Day Spa.Located beside the Gaiety theatre for over a decade, I’ve passed Buff on countless occasions without ever really noticing it was there – the entrance is fairly unassuming, but once you’ve climbed up the fairly narrow staircase you emerge into a spacious and relaxing space, which is spread over several floors. Along with various treatment rooms and manicure/pedicure stations, there’s a sauna and relaxation room, and a compact changing room that’s well stocked with complimentary teas and water, spa sandals, robes and towels. 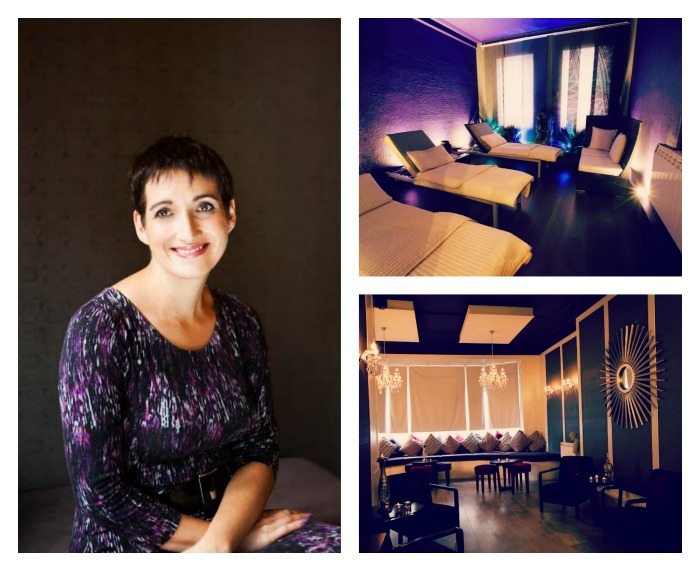 I was there to meet Marsha Abrahams – who co-founded the spa but has since moved on to work with the skincare brand, Juliette Armand – and to experience a Skin Boosters treatment. 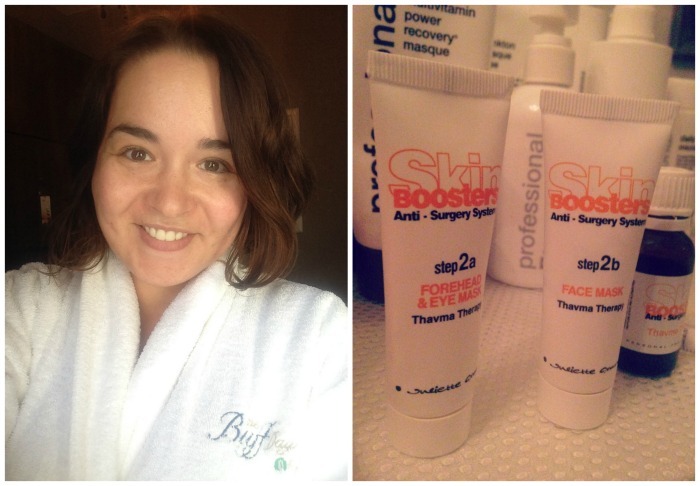 Skin Boosters is a targeted skincare range, which includes both in-salon treatments and a range of homecare products. 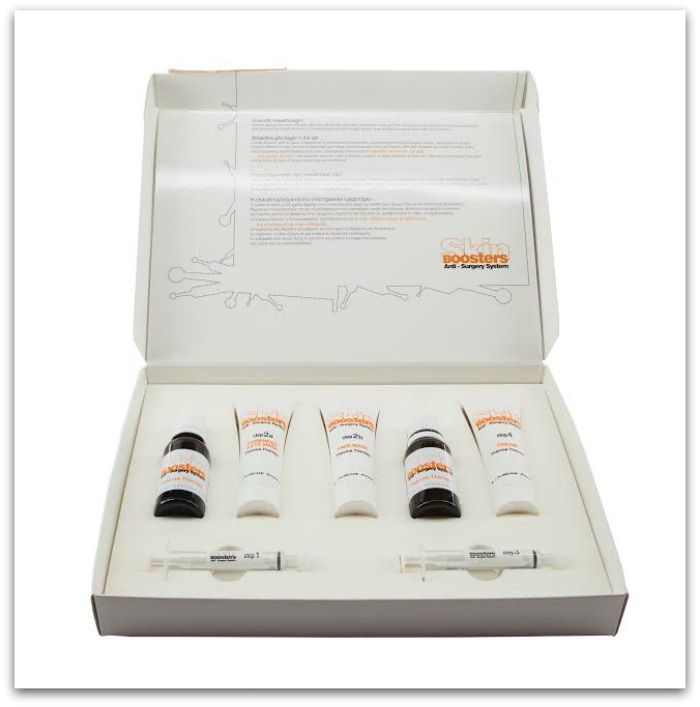 It’s been around for 11 years and positions itself as a non-invasive alternative to botox or plastic surgery. In reality, no topical treatment or cream will give you the same results as botox or surgery, but the products are impressive nonetheless, containing active ingredients that work to plump up and hydrate the skin. I had the Thavma ‘Miracle’ therapy, which involves exfoliation to remove dead skin cells, followed by the application of two masks packed with peptides and hydrating ingredients. There’s a scalp massage too, which was gorgeous and, combined with the sounds of trickling water and soothing music, proved very soporific.